The details make the difference when it comes to an elegant kitchen that is both functional and beautiful. 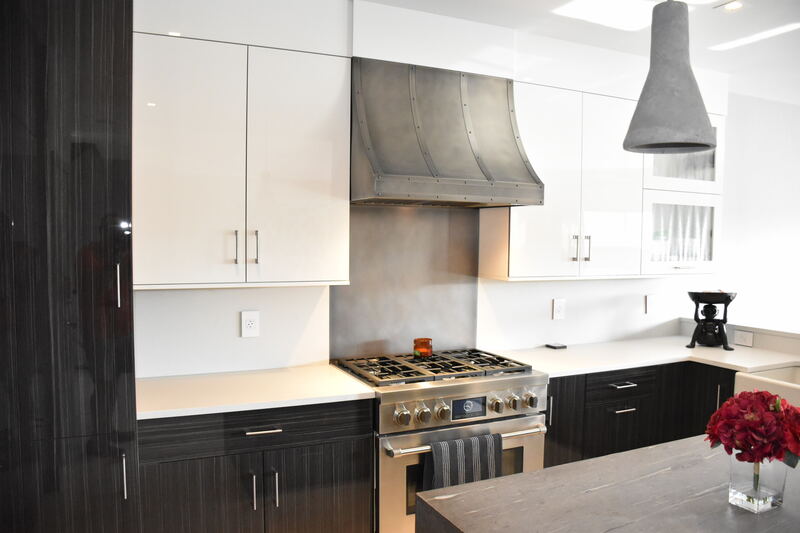 You want every item to enhance and elevate the overall look and feel of the room, and this includes a custom kitchen range hood. 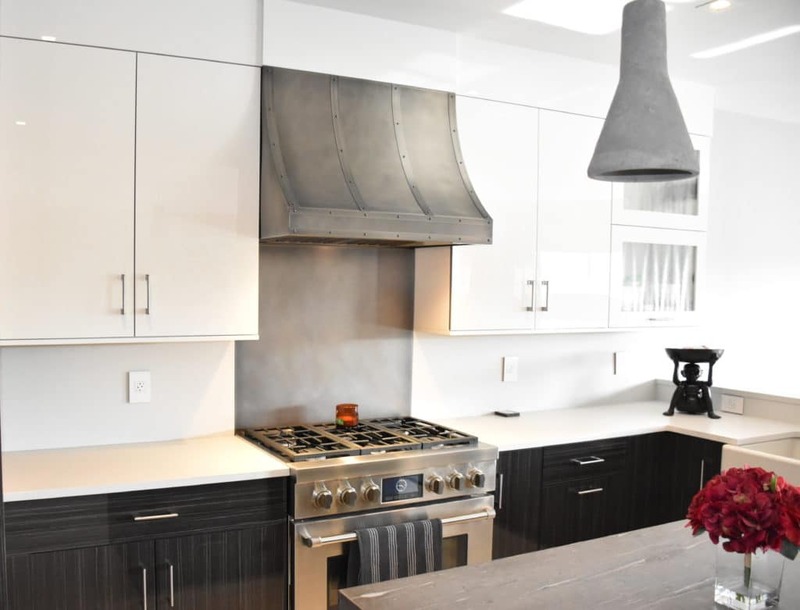 A quality custom range hood is essential for clean air, but it can also become the focal point of your NJ home remodeling project when you choose a size, finish, and style that will fit in perfectly with your new kitchen design. Gone are the days when the kitchen range hood was nothing more than a necessity. Today’s designs are elegant enough to use as the focal point of your new kitchen. Brooks Custom offers range hoods that instantly add a bold design statement to your room. Their new artisan cast range hoods offer a stylish option for elegant kitchens while their bronze finished range hoods add warmth and charm to traditional spaces. You will even find ones created with a metal coating to look like sheet metal that are ideal for industrial designs. Your range hood can be custom made to include overhead lighting that will make working at your stove so much easier. You will be able to clearly see your dishes as you prep and prepare meals in your kitchen. This additional task lighting will also help you when it comes to clean up. Proper lighting allows you to get all of that hard to see grease and grime that hides in every nook and cranny of your range top. Options in kitchen range hood lighting range from basic illumination that draws the eye to your beautiful backsplash to state-of-the-art designs for the serious home cook. Even though range hoods are a beautiful addition to any home kitchen, they do provide a very necessary service. A range hood’s most important job is to improve the quality of air in the kitchen. They are designed to remove smoke, odors, grease, and pollutants that are created while cooking. The air is drawn in through a fan and released outdoors or filtered and recirculated back into the room. By removing these irritants, you, your family, and guests are left with nothing more than the wonderful smell of the dishes you are creating. The heat produced while cooking can make the kitchen uncomfortable. Range hoods remove excess heat and steam, leaving the kitchen feeling comfortable while preparing food or entertaining. Don’t worry that it will interfere with the beautiful design of the room. Amore Design Factory offers stylish range hoods that blend in wonderfully with your existing countertops and cabinets. Rather than drawing attention, they enhance the look of all the one-of-a-kind items you have carefully selected for your new kitchen project. As we mentioned already, a quality range hood will remove odors while you are cooking, but they also rid your home of those lingering odors that hang on long after your dinner was finished. The ventilation they provide eliminate scents that normally remain after clean-up. Rather than waking up the next day to a reminder of last night’s Italian feast or Friday’s fish fry, you will be able to enjoy the wonderful smell of breakfast as your family awakes. Kitchens without a range hood often have a greasy film that develops over cabinets and countertops. This can ruin the appearance of your new kitchen remodel project as well as make cleaning a nightmare. A good ventilation hood can help prevent this greasy build-up and cut down on the clean-up time needed. Best of all, using the fan on your range hood can prevent the growth of mold and bacteria that can bother those with allergies or asthma. You will be able to rest assured that your kitchen is as healthy and clean as it is attractive. An updated kitchen is one of the best ways to invest in your home. Beautiful kitchens with modern appliances add to the resale value of any house. Choosing the right range hood will further add to this value as well as make the kitchen comfortable and convenient for your family while you are living there. Consider made to order range hoods from retailers like Range Craft to upgrade your home’s kitchen. You will be able to pick from finishes like copper, brass, and stainless steel as well as a variety of sizes and shapes to ensure that it is a piece that will blend in perfectly with your décor. Talk to your kitchen remodeling contractor about how the right kitchen range hood can enhance and elevate your kitchen. Together, you can find the perfect size, style, and finish to compliment your space. Whether you are looking for a bold statement piece or simply an elegant and functional item that will blend in beautifully, you are sure to find one that suits your individual needs.